Where education meets virtual reality. This fall marked the first successfull use of Second Life as an educational tool at Middlebury College. The free virtual world software was employed by Professor Quinn Mecham in one of his introductory Political Science classes (PSCI 0103) to create a virtual government with his students as citizens. 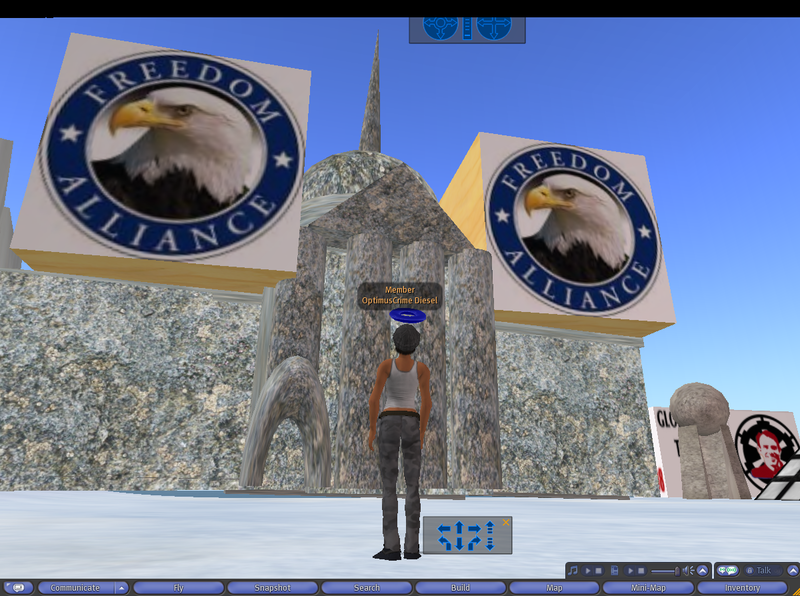 This virtual government, known as Terra, is hosted on virtual land within Second Life. Members of the class had to log in to Second Life in order to form political parties, campaign for office, build ministries, and vote. After voting occured the winning party got the opportunity to form a government by allying themselves with other political parties in order to create a majority. The vote also determined who recieved seats in parliament and who was elected to each of the seven ministries of Terra. The parliament and ministries have the power to create and vote on legislation and amendments to the government’s constitution. During the fall semester two different governments were voted into office. Each was responsible for passing both legislation and constitutional amendments that have already begun to change the shape of Terra’s initial parliamentary system. Although Professor Mecham’s fall class is finishing up this week the plan is for The Terra Project to continue on into the spring semester with an influx of new citizens from Mecham’s spring term class. In addition to this new class a group of students from the fall semester are interested in continuing with the simulation and the possibility of granting citizenship to other interested members of the Middlebury College community is also currently on the table (any interested parties can email bosmith@middlebury.edu for more information). Hopefully the success of this project will encourage other Middlebury faculty and staff members to explore the use of virtual worlds like Second Life for educational purposes. Please check out the official Terra Project Blog for more information. What a great way to use second life. I remember participating in something similar in my political science class but it was all coordinated in class by the instructor.